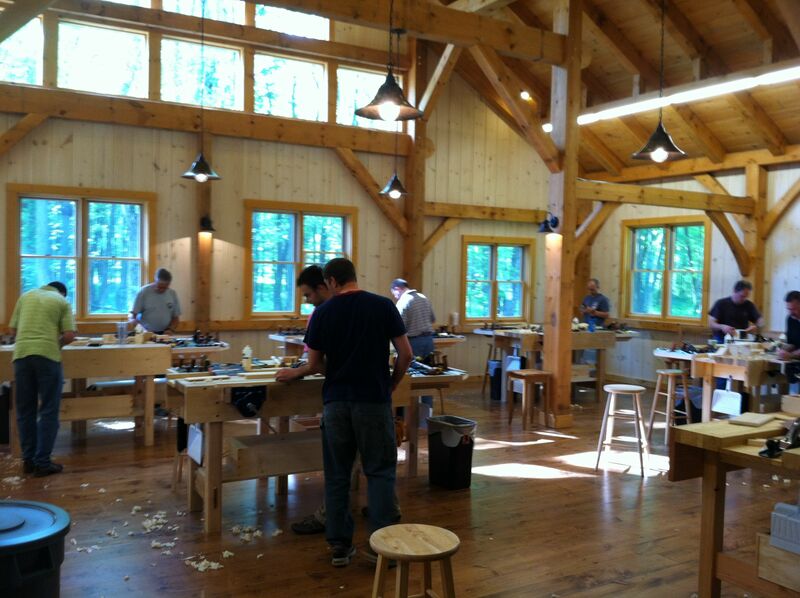 I was fortunate enough a few weekends ago to take a class at the New Legacy School of Woodworking with Paul Sellers. Paul has been getting a lot of attention here in the states lately, as he has recently open up a branch of his school in Greenwich, NY. I was very excited about this news, as its only an hour drive from my shop upstate. If I would have to put a label on myself, I would like to be considered a hybrid woodworker. Perhaps a more accurate label might be a power tool guy with an interest in hand tools. That is until this weekend class. 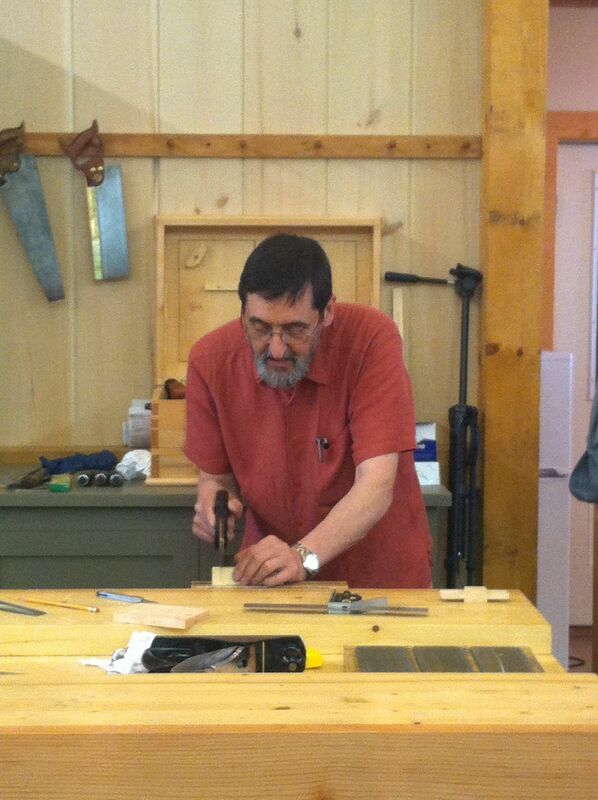 As many of you probable know- Paul is a hand tool guru. He is on a mission to bring hand tool skills to a new generation. I must admit, as enthusiastic I was about taking the class, I was not expecting to be converted. Paul makes a very strong case for the ease the use of hand tools over power tools. In fact, one of the things that he talks about first is that hand tools are just that: tools, while power tools are not tools at all, but machines. The whole tone of the school is set as you drive onto the serene property, park and cross a a small footbridge and head to the newly constructed post and beam barn. They have really done a spectacular job. How can you not be inspired working amongst these massive beams with magnificent joinery? 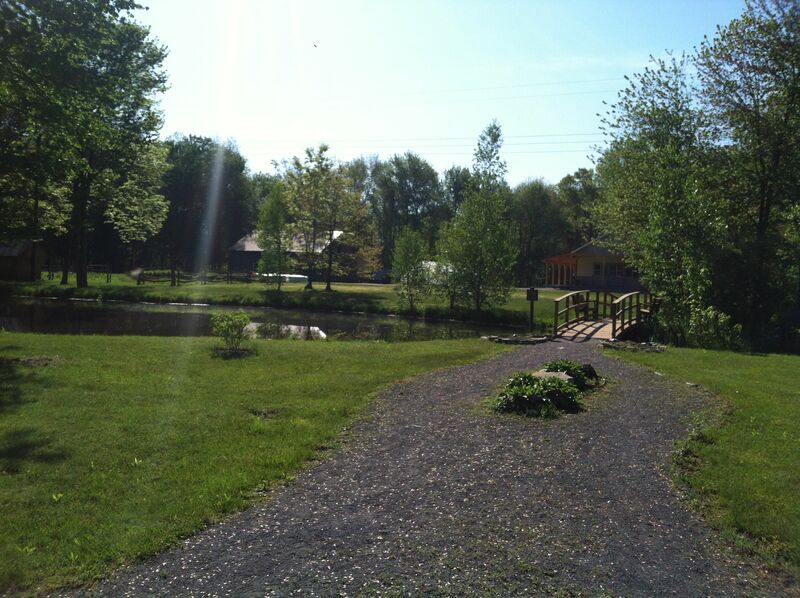 We had three spectacular days that allowed the barn to be awash with natural light. If you don’t know Paul or his work you should definitely explore his blog and check out his videos on You Tube. His book and DVD series will certainly give you an idea of the class structure and his approach to teaching. But do not be fooled there is nothing like sitting in a class with a master craftsman with the ability to soak up information! A note about the DVD’s: I have read comments about how the graphics are over a bit over the top and it’s over produced, but I gotta tell you, as a guy who has slept through countless woodworking DVD’s I appreciated the effort, it keeps me excited and I am sure it will entice my children into watching it. I took three day Woodworking Essential I class, part of a nine day series. 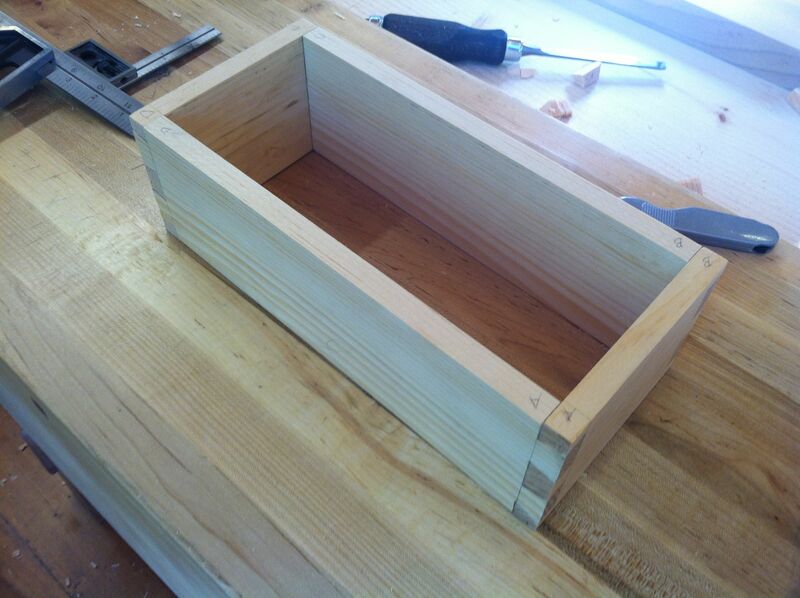 The project was the Shaker pine candle box. A great skill building project. While it may seem a simple project, like many classes, it’s about building these foundation techniques and not about the project. 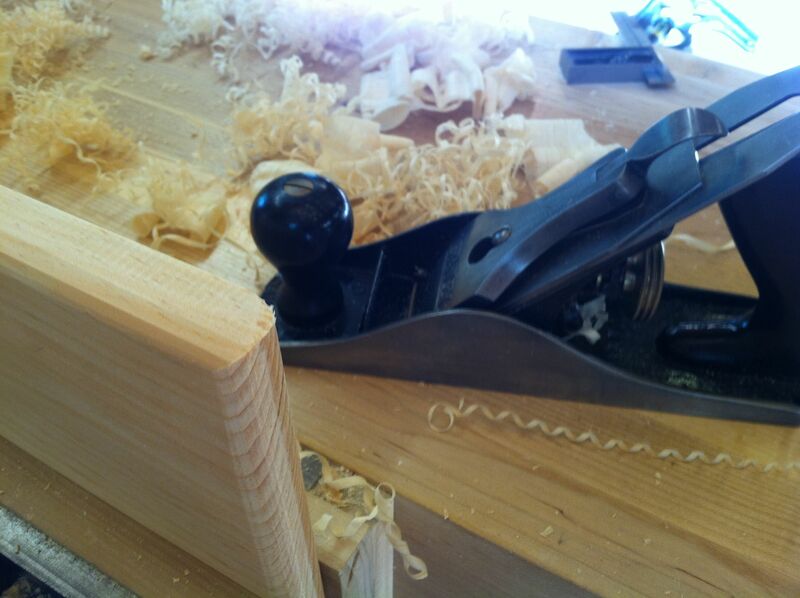 A great technique for planeing dovetails: The board is placed under the box in the vise, creating a slight bow on the surface. The plane is approached from the outside and prevents you from reaching the dovetails on the opposite end and creating tearout. While it seems simple, center the box on the base isn’t always. 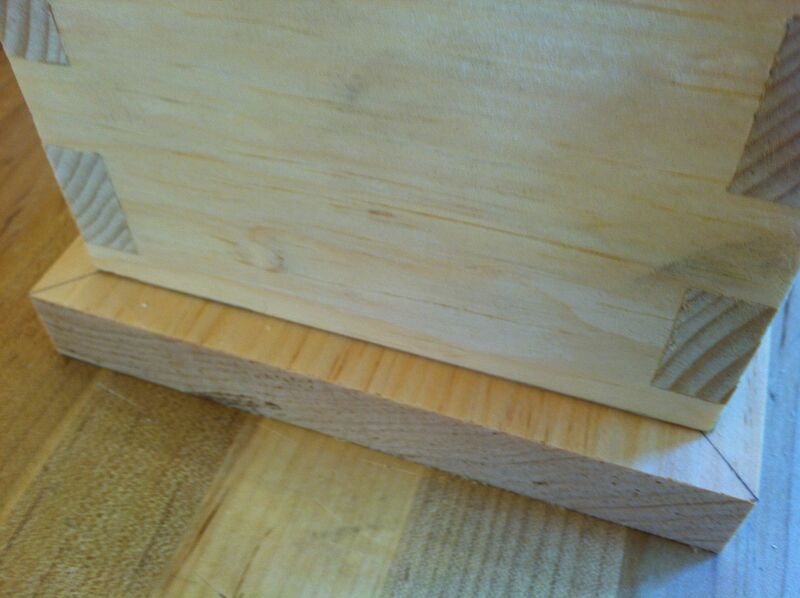 By laying out 45° pencil lines at each corner you can quickly and easily eyeball your box evenly on the base. What a difference! My sawing technique has come miles! I now understand how to gently approach the wood and let the saw do the work. Paul explained saw sharpening, how the teeth are set and the real difference in steel, teeth and the set. Real eye opening. I’ve already come home and dove right into learning all I can on saws and sharpening. Something I didn’t really expect. My Hand tool technique has also grown. Paul will tell you you can do anything with a Stanley No. 4. and he sure can! I am now very comfortable with my planes and really understand what a small adjustment in the tool can make, what to look for and what to listen for. My shavings are a joy. Paul has certainly had an influence of how I approach the wood. 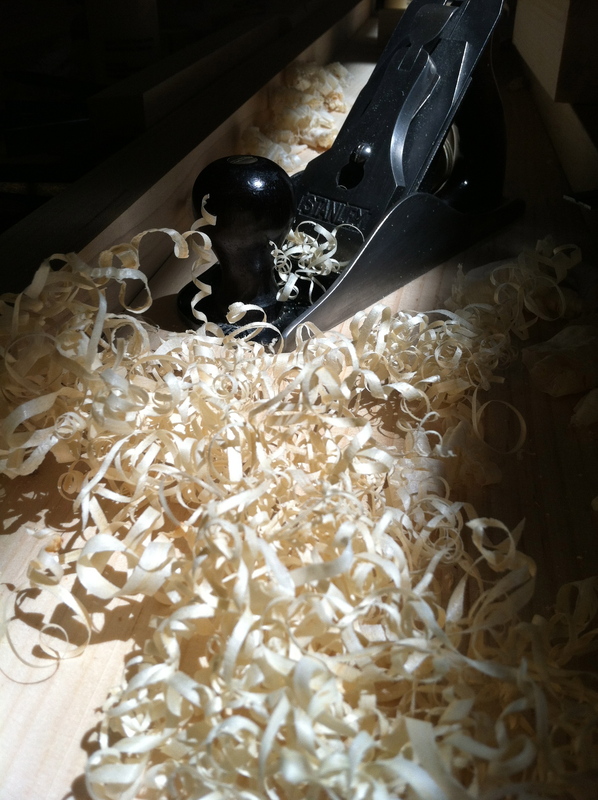 It is so much about listening to the wood and feeling the tool slice into the grain at the proper angle and with the right touch. Before I would take such an aggressive approach that it would be impossible for me or the wood to react properly. Paul has a very logical approach to his teaching, throwing out antidotes while he carves a spoon in the time it takes you and I to choose which tool to use, making it appear to be the simplest of tasks. I think that is truly what is so unique about Paul’s approach: he keeps everything simple. From teaching with pine to primarily working with a no. 4 plane and small selection of tools. But don’t think for a moment this is a simple man, he is a master craftsman with a keen eye, a serene demeanor and a hearty work ethic. He is on a mission to pass on skills of the past, and make them skills of the future. *Full disclosure. I purchased a Stanley No. 4 Plane and a 1871 Disston Saw on Ebay the next day. 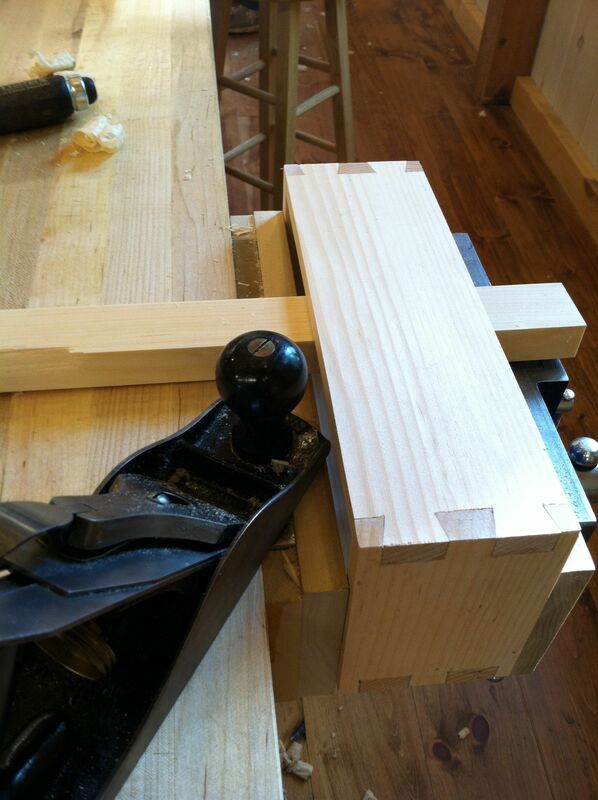 This entry was posted in Classes, Inspiration and tagged greenwich ny, hand tool skills, New Legacy School of Woodworking, Paul Sellers, Reading the Grain, Stanely No. 4 by Christopher Landy. Bookmark the permalink. Great article. It’s amazing at much you “think” you know and then learn during a class. I need to make it to some classes to better my techniques. Thanks Tim! It’s true- the more you learn, the more you realize how much you don’t know! When you see what a guy can do with tools that have been properly prepared for the work, it really causes you to think. I have to be careful. I can get too enthusiastic. Some guys are not willing to invest the small amount of time it takes to develop basic skills and would rather shove sticks through machines. It is their shop, so I have to say that is OK. I just wish they would give it a weekend like you did. I found this to be an extremely touching post. I remember finding a similar experience, but it was slower and on my own. I thought I should learn something about those hand tools and before I knew it I was headed down a rabbit hole. It is always so cool when I get to hear (or read) about someone else experiencing some of the same revelations. 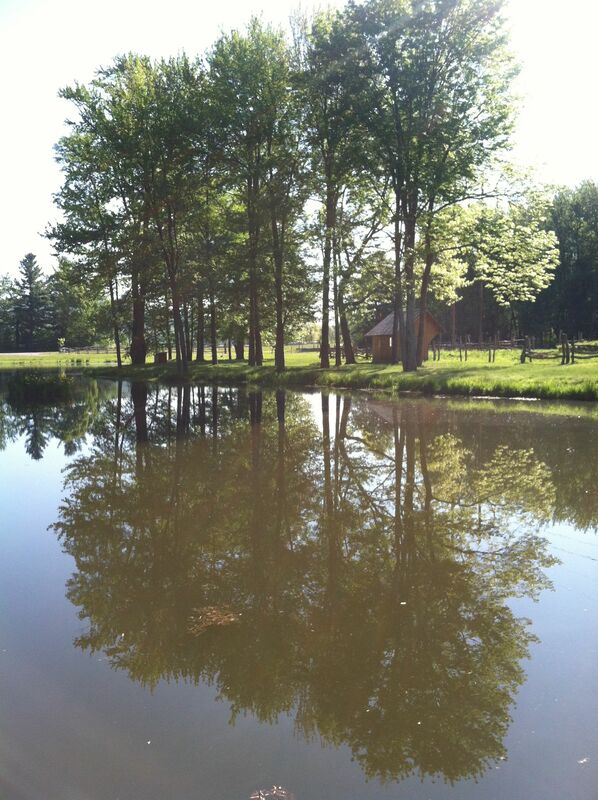 When I first found Paul’s blog I loved the way he articulated the things I was feeling. I was blown away by the differences he pointed out between Woodworking with tools and Wood Machining with machines. I haven’t sold the machines I gathered either, but they spend more time sitting idle than running. I am envious of you. I’ve wanted to take a class of this kind of caliber for a long time. Someday soon I’m going to start planning to remedy that. Welcome to the rabbit hole. Derek-Thank you for the kind words. It means a lot to me coming from you. I have such respect for your work.